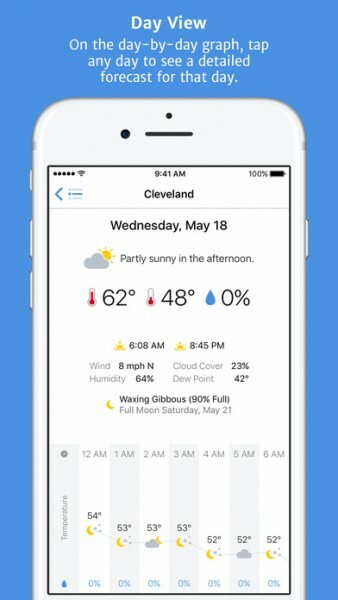 Partly Sunny - Weather Forecasts ($2.99) by Joseph Hribar is a simple and clean weather app that is powered by Dark Sky. 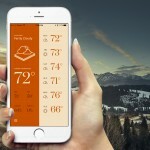 If you’ve been in the market for a quick but effective weather app to help you keep track of the forecast, then Partly Sunny is definitely one you should consider. 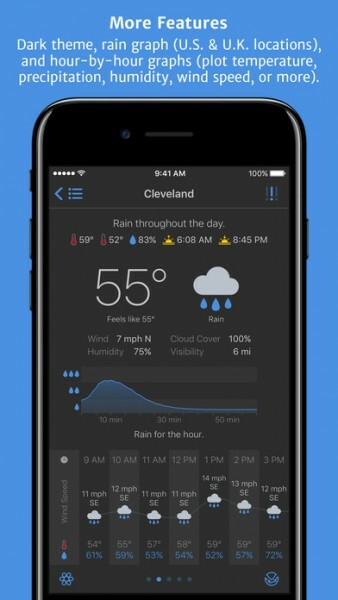 It joins the ranks of other fine weather apps on iOS, including CARROT Weather and Weather Underground. Even though the most effective way to check the weather is to take a glance out the window or take a step outside, I consider myself a weather nerd and prefer to see all of the data available on a computer or mobile device. Over the years, I’ve gone through several different weather apps on my iPhone, but lately I’ve been using CARROT Weather over one of my old favorites, BeWeather 2, because the latter became a bit broken the last few times I checked. While I’ve become mostly content with the weather apps I’ve been using, I couldn’t help but check out Partly Sunny once I stumbled upon it on the App Store, because what can I say? I love minimalism, and Partly Sunny serves it up beautifully. 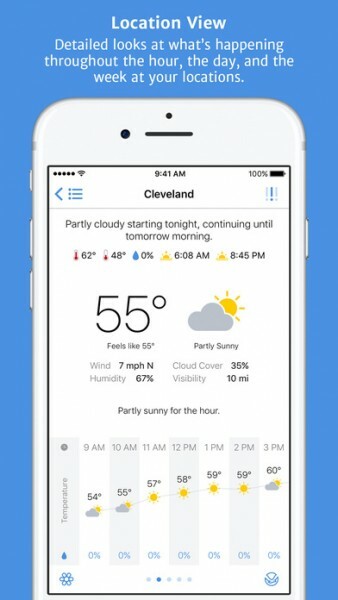 If you are looking for minimalism in your weather app, then Partly Sunny will satisfy your cravings. The interface is fairly barebones, as the main view is just a list composed of alternating cells that contain the main weather information that you need to know at-a-glance with a gorgeous typeface. And since the cells alternate hues, it’s easy to tell them apart even if you’re not looking closely. There are easily recognizable icons used to represent the various weather conditions that you’ll come across so you don’t even need to check all of the finer details if you don’t want to, and even more detailed views are available with just a tap. I found Partly Sunny to be incredibly fast at refreshing weather data, and it’s responsive to touch so there’s no lag when switching between different views on my iPhone 7. 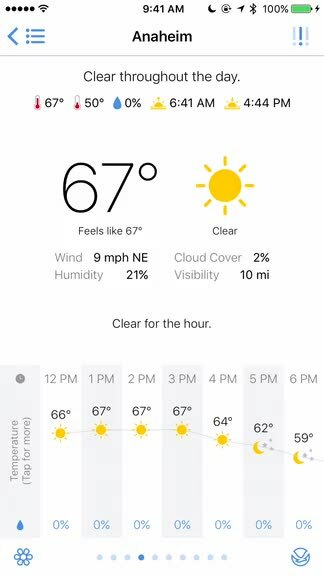 While it may lack power features like radar and an Apple Watch companion app, I don’t mind because the clean interface makes it easy to get the forecast in a glance. When you launch the app for the first time, it will ask you for your permission to use your current location, of course. It will also have some other locations already added for you, but you can edit the list and remove them if you want to. 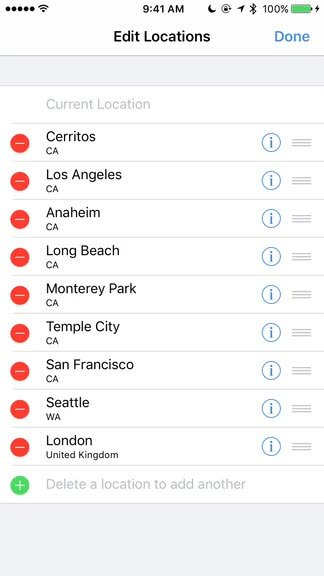 To add new locations, just tap on the button in the upper right corner — users can add up to nine locations, and you can rearrange the order that they appear in by the drag-and-drop method. Another nice thing about Partly Sunny is that you can fine-tune each individual location by tapping on the “i” button, and then panning the map around to pinpoint the specific location you want weather data for. 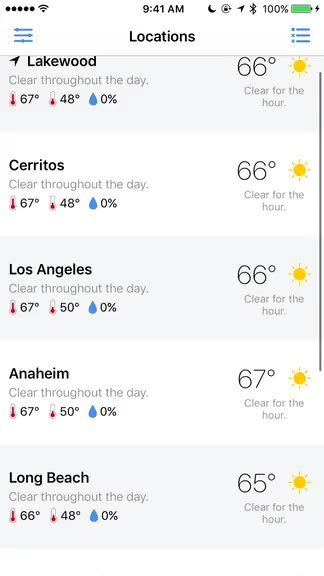 Plus, you can even rename the location if you want to be specific, such as “Home” or “Work.” Once you have all of your necessary locations added to the app, all of the basic details (current temperature, high/low for the day, and precipitation chance) will show up on the main screen, and it refreshes constantly so you’ll always have the most up-to-date info from Dark Sky. While you should be able to get most of your necessary information from the main screen, if you want to drill down to more forecast details for a specific location, just tap on the one you want to view. In this view, you’ll be able to get all info, including what was on the main screen, along with sunrise and sunset time, feels like temperature, wind, humidity, cloud cover, and visibility. 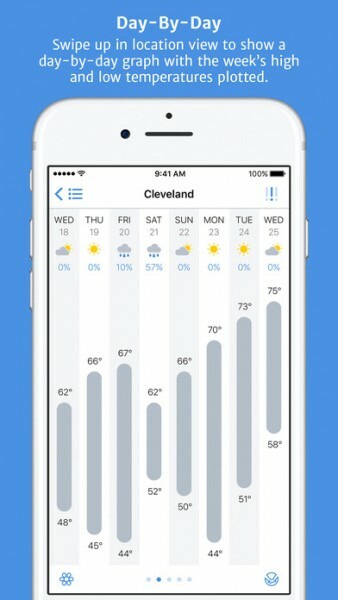 There is also an hourly forecast that you can scroll through, and a one week forecast if you pull the screen upwards. For easier navigation, you can scroll horizontally (not in the hourly forecast) to switch between locations without having to go back to the main view. You can also tap on a specific day for even more forecast information. If there are any weather alerts for your area, you can view them by tapping on the three vertical line button in the top right corner. For allergy info, tap on the flower button in the bottom left corner. You can also get quick access to the NOAA site for the location you’re on by tapping the button in the bottom right corner. Even though the default settings should work fine for most people, if you need to tinker around with options, just tap on the button in the top left corner of the main view. The options let you choose Imperial or metric units for temperature, measurements, and wind. There is also a dark theme available if you don’t like the bright white, and you can choose what data is shown in the hourly graph. The app’s Today View widget is also quite handy. As mentioned several times, Partly Sunny is powered by Dark Sky. So you may be wondering why one would use Partly Sunny over Dark Sky. The answer is simple: Partly Sunny offers the information you need in a more concise and flexible way, whereas Dark Sky needs you to dig through various screens to get the information you want. When you use both side-by-side, it’s clear that Partly Sunny is much more intuitive to use. I’ve only used Partly Sunny for the past day or so, but so far I think I have found a nice replacement for my weather app needs. I am in love with the minimalistic design of Partly Sunny, and it’s super fast and responsive with up-to-date information from Dark Sky. It’s intuitive to use and being able to do things like fine-tune the exact location is pretty nice, and it’s just jam packed with the data that matters to me. The only thing I’m missing is radar, but since it hardly rains where I live, it’s not a deal breaker. Plus, I have other apps for radar if I need it. 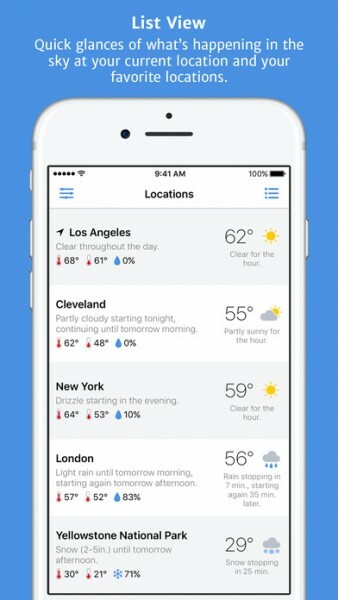 I highly recommend giving Partly Sunny a try if you are in search of a new and simple weather app for your forecast needs. 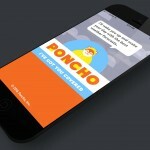 You can find Partly Sunny on the App Store as a universal app for your iPhone and iPad for just $2.99.